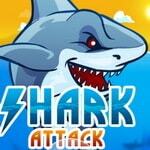 Play for a shark who should eat and destroy all that moves. Watch three important parametres of a shark which should be supported in norm. Be careful of fishing nets and other traps!